Fiiinally, with Fashion Week over it’s time to get back to beauty business!! One of the perks of winning the Yahoo Lifestyle LFW competition was that I also won a Stila makeup goody bag and boy-oh-boy it was GOOOOD. Where to begin? Seriously, everything is my favourite! That lipstick, the brow pen, the convertible colour!! How about we start with the piece de resistance? I literally squealed when I found this in my goody bag. This is the hugely hyped In The Light eyeshadow palette which is a collection of 10 stunning neutral shades, most with a subtle shimmer. There is not a colour in this palette that I wouldn’t use – first sign of a good palette – there are browns, there are greys, a hit of blue. Love it. 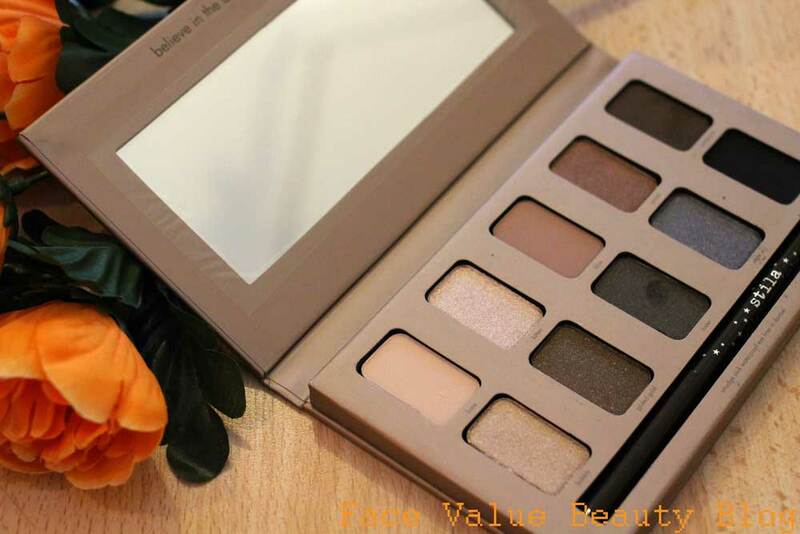 Plus – the colours are super wearable, the textures are soft and blendable – 2nd sign of a good palette. AND – it comes with a full size Smudge Stick – an awesome waterproof eyeliner with a superfine nib and smooth waxy texture. A freebie with a palette? Is this eyeshadow palette perfect or what? Next up, it’s the infamous Stila Convertible Colour. These have been around since I first started wearing makeup, the longevity says miiiles about how great they are. I’ve said it before, I’ll say it again, I LOVE multitasking makeup. 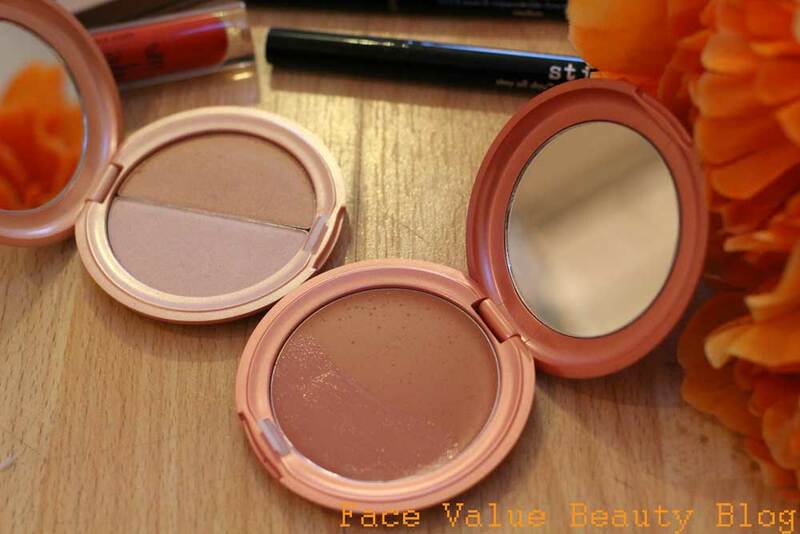 I also love makeup which comes with built in mirrors, perfect for on-the-go primping! 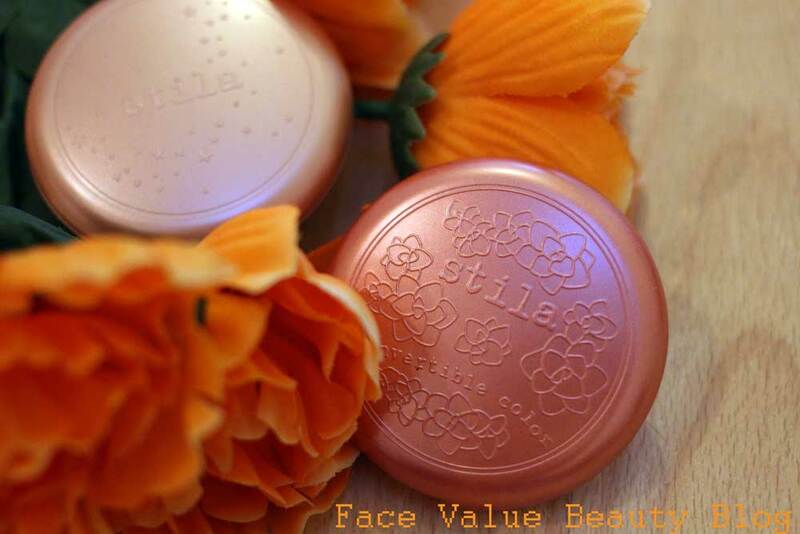 The Stila Convertible Colour is a light textured cream which can be used as cream blush, lip colour, eye colour – anywhere you want to use it! This Convertible Colour shade is Lilium and it’s a beautiful dusky pink shade, but dark enough to avoid looking too girly! I also got the Stila All Over Shimmer Duo in Kitten – it’s a lovely highlighter compact with a champagne and gold toned powder. I really like powder highlighters because I find them easier to control than liquid or cream versions. This Stila Duo is no different, and the best thing? You get TWO shades in one pot so you can get exactly the colour you want! The lipstick I got was exactly the colour I wanted. I am allllll about bright lips but mainly orange lips. 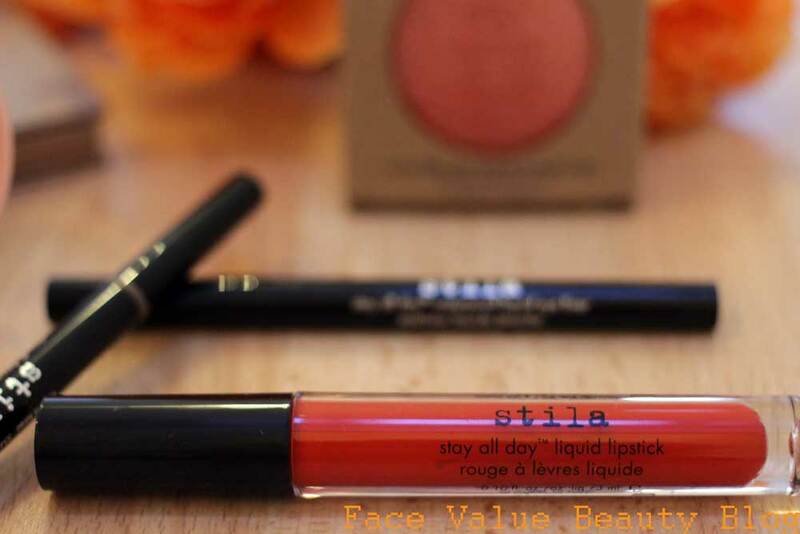 This Stila Stay All Day Liquid Lipstick in Tesoro is an amazing punchy coral orange. It looks great on pretty much all skintones! The texture of this Stila Liquid Lipstick is insaaaane. It’s ridiculously creamy, but it dries to a matte finish! Honestly, I was a bit worried when I found out it was matte because matte lipsticks have a tendency to dry out my lips and highlight dry bits. This lipstick was so comfortable to wear and it made my lips look hyper smooth! And believe me, it LASTS. I only had to reapply this once and it lasted from 8am until midnight! Here’s a big poser-y pic of me wearing it at LFW. HIYA. 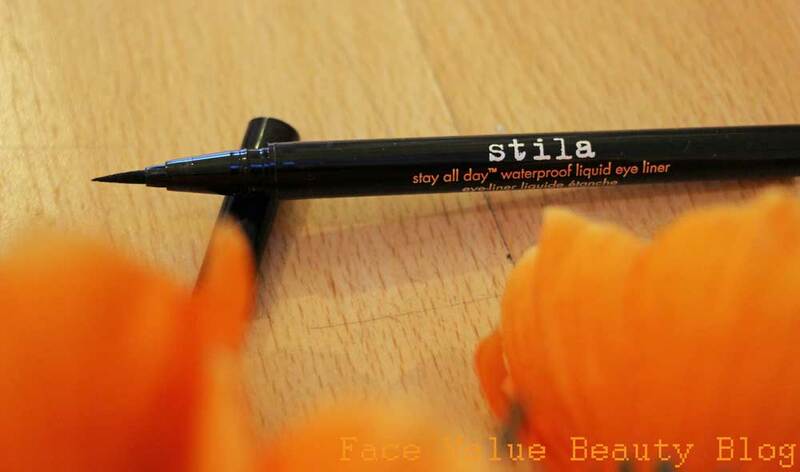 Next up, this Stila Stay All Day Waterproof Liquid Eyeliner is AWESOME. It’s super super fine, and it really does last all day. It’s really easy to remove though which is great because I’ve had trouble trying to remove long-lasting eye makeup in the past and ended up with panda rings all night, boo! It is even better than the three liquid eyeliners I compared in my Liquid Eyeliner Pen Comparison – if I could do it again, this would win! The Stay All Day Waterproof Brow Colour is very similar, but in brown and with a slightly smaller nib. This is probably my favourite find as the colour is PERFECT for me. My eyebrow pencils are always slightly tooo warm or slightly tooo dark, but this is great and I will definitely buy this again and again! Working with a liquid brow colour is new to me – I was worried that my brows would look really fake and drawn on but it’s surprisingly natural! Anyway – here’s a a quick swatch of the brow colour and the eyeliner. I did it on the back of my hand and it just sort of escalated from there…. So that’s my Stila haul – what do you think?! Have you tried any of these? Are you going to try any now? 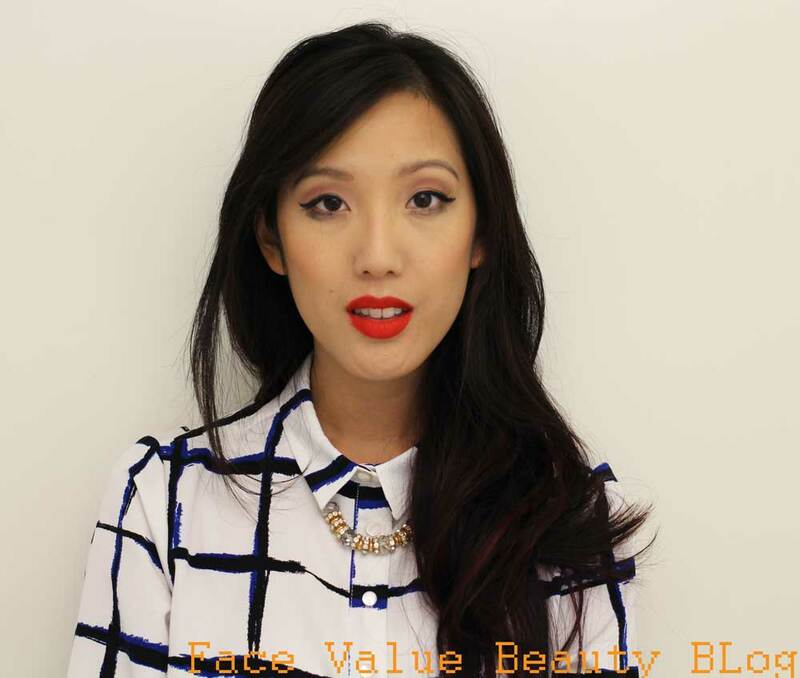 Selfridges Shopping – What Should I Buy: Nars, Laura Mercier, Ciate or Shu Uemura? 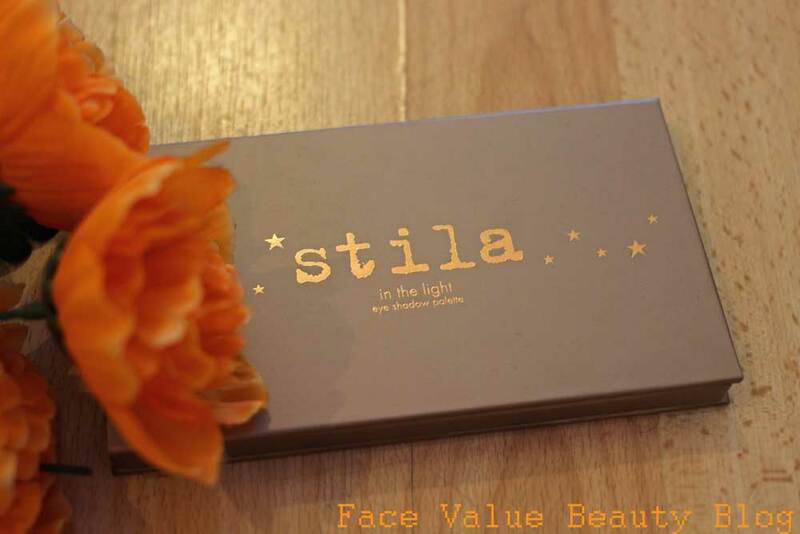 Next Post Natural Makeup Look with Stila In The Light Palette! Ahhh thanks for your lovely comments Jenn – the Stila eyeliner is FAB isn't it! ?